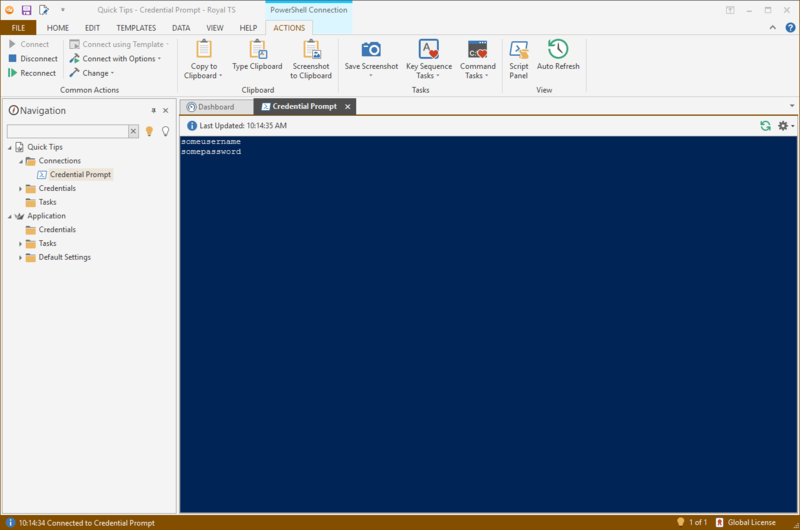 With Royal TS V3.1 we introduced a new PowerShell connection type which allows you to run any PowerShell script and display the results in a grid (for object data) or as text (like the console). 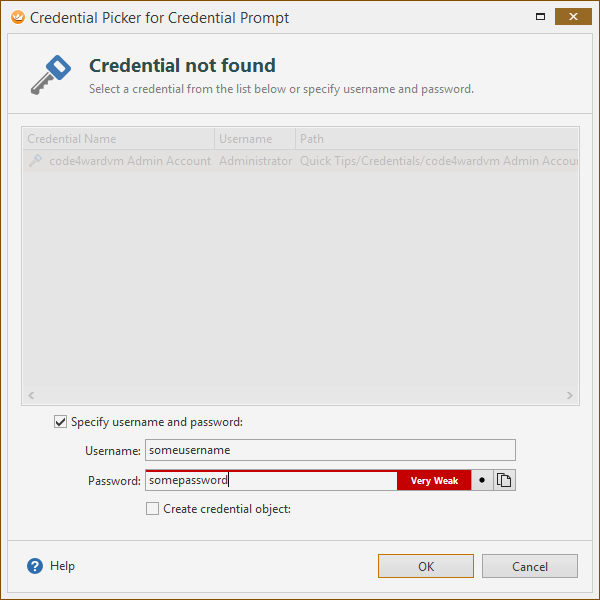 In this quick tutorial I want to show how to pass on the connection credentials as parameters to be used in the script. Note: only named parameters are supported. Indexed parameters are not supported. 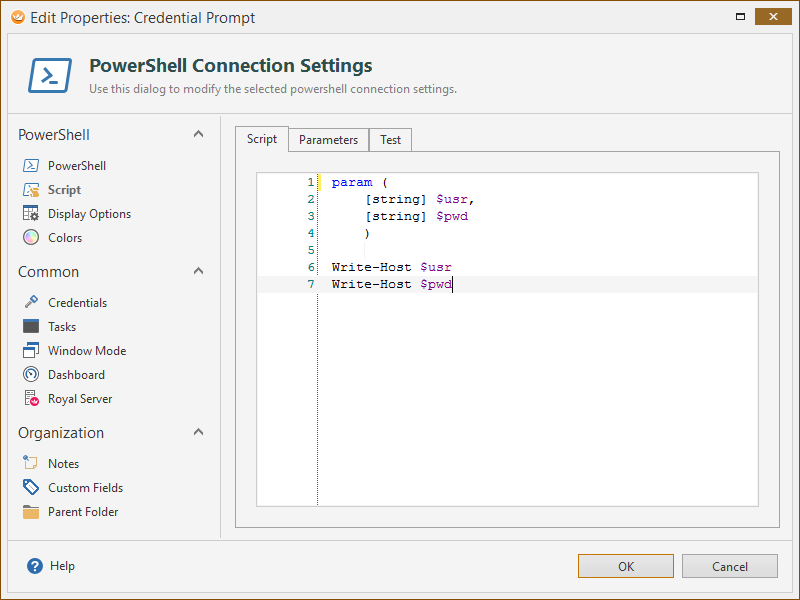 As Parameter Name, enter the name from the param script block without the $ character. As value, either enter just a static text or use a replacement token (like $EffectiveUsername$, $EffectivePassword$, $CustomField1$, etc.). The fly-out button shows a list of all available replacement tokens. Add all mappings you need to the list. 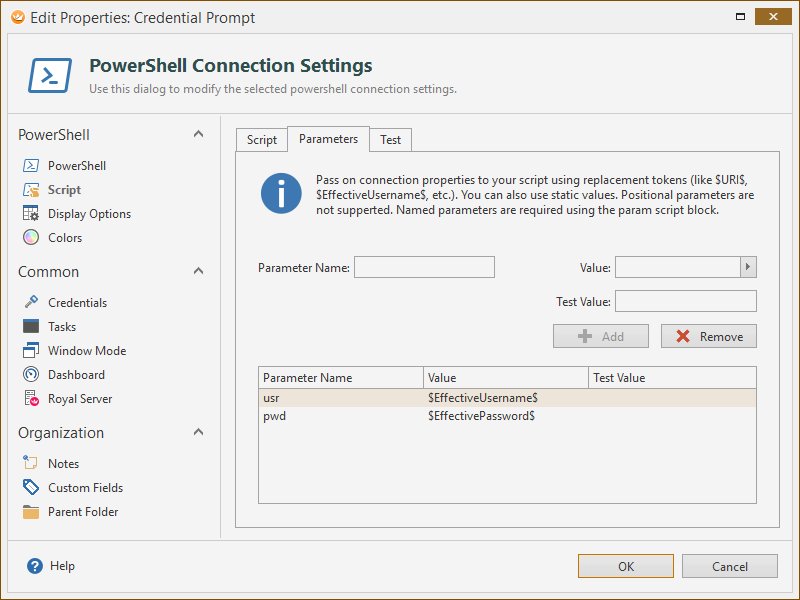 As you can see, the parameter mapping allows you to not only use credentials or values from the connection object, it also ensures that the script can be used *as is* without any modifications outside of Royal TS. There's no magic, only standards based named parameters used here.